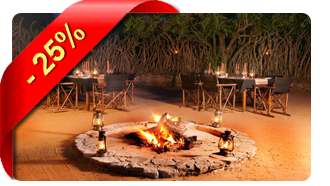 Madikwe Game Reserve ranks as one of South Africa’s foremost safari destinations and offers a range of top accommodation options and outdoor adventures for visitors young and old. With an area covering 75,000 hectares, the reserve is one of the largest in South Africa, and home to an extraordinary variety of wildlife and bird species, including the renowned Big Five. 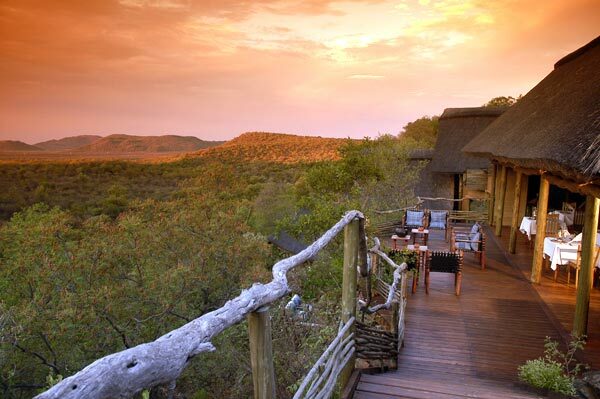 This incredible biodiversity is in part due to Madikwe’s exceptional position. Madikwe Game Reserve is located in the North West Province and borders Botswana in the north – it is about 90km north of Zeerust, 40km from Gaborone, and 3.5 hours' drive from Pretoria and Johannesburg. This places Madikwe in the unique transition zone between the Kalahari thornveld and the Lowveld bushveld, where several rare species from both ecosystems naturally share territory – like the Springbok, South Africa’s national animal, and the Kalahari Gemsbok or the Brown Hyena and the Aardwolf. Geographically the reserve is also a feast for the senses. There are the soaring volcanic intrusions, known as Inselbergs, the extensive woodlands and grasslands run through by the “Rant van Tweedepoort” as well as the Dwarsberg Mountains in the south and the riverine environment along the Marico River in the east. The resulting disparity in vegetation and topography types ensures plenty of authentic game encounters. The climate is usually mild to hot, but be forewarned winter nights can be quite chilly. 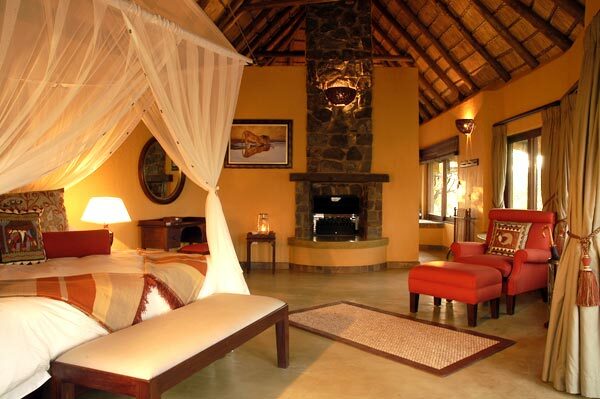 A big plus for travellers, however, is that the reserve falls within a malaria-free zone. 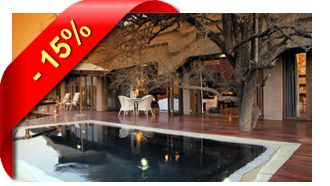 Madikwe has a choice of premium accommodation venues from deluxe and exclusive-use private lodges to child-friendly lodges and even a certified eco-friendly camp. Madikwe Game Reserve officially opened its gates to the public in late 1991 and is a joint undertaking between the North West Parks Board, the private sector, and local communities. The reserve is managed in such a way that all three stakeholders benefit equally from this “partnership in conservation” ultimately stimulating the sustainable upliftment of the local communities. The success of this approach has marked Madikwe as an exemplar for wildlife-based tourism outfits elsewhere in South Africa. Its proximity to Pilanesberg National Park has also led to a long-term plan to establish a protected “Heritage Park” conservation corridor joining these two prolific reserves.